2019 509 Kingpin Goggle Hi-Vis Black Free Shipping!!!! Affordable and premium are two words that haven’t existed together in the goggle market... Until now. We went back to the R&D lab and designed a goggle with only premium materials that comes in at an affordable retail price point. 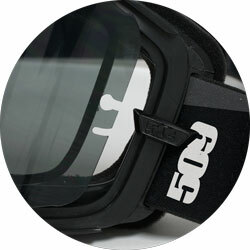 Introducing the all new Kingpin snowmobile goggle from 509.